CLEARFIELD – Kim Shaffer Snyder of DuBois has announced her candidacy for Clearfield County Coroner. Shaffer Snyder has 25 years’ experience as both the acting coroner and as a deputy coroner in both Clearfield and Jefferson counties. “It’s been an honor working in the Clearfield County Coroner’s office as both acting coroner and deputy coroner,” Shaffer Snyder said. In Pennsylvania, the coroner is an elected official who is responsible for the investigation of deaths occurring within a county. Specifically, coroners are responsible for conducting investigations to determine cause and manner of death. Their work requires them to be on call 24 hours a day, 365 days per year. Coroners are called upon to direct the activities of a number of forensic professionals, including investigators, forensic pathologists, toxicologists, forensic technicians and staff physicians. Shaffer Snyder was appointed by the Clearfield County Commissioners in January of 2018 to fulfill the unexpired term of former coroner Mike Morris, who accepted another elected position in the county. During her term as acting coroner, Shaffer Snyder investigated 390 natural deaths, nine accidental deaths, 11 vehicle crashes, 14 suicides, one homicide and two undetermined deaths. She also reviewed 424 requests for cremation authorization, making an annual total of 872 cases. Shaffer Snyder is a life-long resident of Clearfield County and a 1982 graduate of the First Baptist Academy in DuBois. She is a graduate of Penn State University with a degree in business administration. She is also certified as an Emergency Medical Technician (EMT), beginning in 1985. She graduated from the Pennsylvania Coroner’s Basic Education Course in 2013. She has also completed numerous continuing education courses in death investigation and functions of the Coroner’s Office. 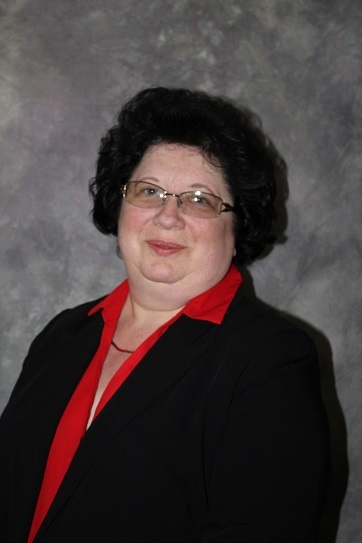 She served as deputy for former coroner R. Joel Heath from 1994-2012 and J. Michael Morris from 2012-2017 and has investigated hundreds of coroner cases of every type over her 25 years of service to Clearfield County. She also served as deputy coroner for former Jefferson County Coroner Bernard P. Snyder for four years. Shaffer Snyder also has many years working within the Clearfield County Court system. Prior to being appointed acting coroner, she spent 25 years working full-time in the District Court in DuBois. She has worked with both state and local law enforcement and the Clearfield County Court system investigating deaths. She is a member of The Pennsylvania State Coroner’s Association and the Gelnett Memorial Church. She serves as a member of the board of directors for Gateway Humane Society and has for nearly 30 years, the majority of those years, as the board treasurer. She has served as chaplain of the DuBois Grange No. 808 and served as the assistant supervisor for the Family Living Center at the Sykesville Ag & Youth Fair for 25 years. “There are many important projects for the coroner’s office in the next few years that will make things run more economical and efficient for the residents of Clearfield County,” Shaffer Snyder said. According to Shaffer Snyder, the county recently started using the Electronic Death Registration System (EDRS). Many of the county’s funeral directors are using the new system as well, making the completion of death certificates faster and more efficient. The Clearfield County Coroner also employs five part-time deputies. Shaffer Snyder said she will strive to operate the office at a high level of professionalism and fiscal responsibility to the citizens of Clearfield County. Shaffer Snyder lives in Sandy Township with her husband, Kevin. To find out more about her campaign, find and like her Facebook page.